The main objective of the Visual Archive is to assemble historical and contemporary visual materials on Southeast Europe. VASE seeks to draw attention to the visual as primary source, to enhance visual studies as a technique and method and thereby enrich the primarily text-based historical-anthropological research. 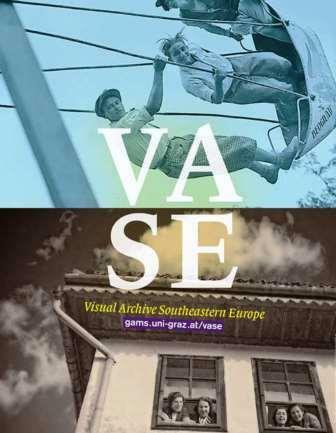 By providing different types of images - e. g. photos, postcards and maps - VASE aims at critically reflecting the (self-) images of Southeast Europe, both among the academic community as well as on society at large. It may not be used for commercial purposes. At present, the web portal features several thousand early photographs from Bosnia, Bulgaria and Serbia, focusing on studio portraits and postcards. These materials result from the research project “Visualizing Family, Gender Relations, and the Body. The Balkans, approx. 1860–1950“, conducted under the guidance of Karl Kaser by Barbara Derler, Ana Djordjević and Anelia Kasabova in the years 2010 to 2014. The collaboration with the Basel-based SIBA-Projektes has been led to a significant expansion of VASE.